Are you looking for some Thailand Honeymoon Destinations with a taste of culture and exotic natural beauty? 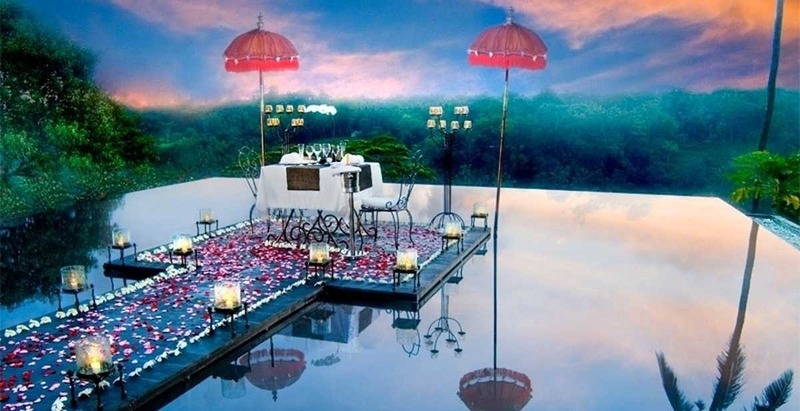 Then a honeymoon in Thailand is what you have been looking for. When you head to the north of the nation, you can enjoy the wonderful view of the lake and explore some of Thailand’s stunning jungles. When you are there, you can immerse yourself in their culture and visit an elephant Campus. Evenings could be spent enjoying delicious meals and outdoors. If you want to experience city life as a Thailand Honeymoon Destination, you have to head to Bangkok. This vibrant and bustling city is definitely an exciting experience that you will never forget. After experiencing the hustle and bustle of Bangkok, if you want to relax then why not visit one of the many Thailand beaches. Here you can relax in a luxurious spa or snorkel and find out what treasures lay beneath the clear blue water. For something different and if your idea of finding some Thailand honeymoon destinations does not include sea and sand, then Chiang Mai is a superb city for a fun and romantic honeymoon. In Chiang Mai, you are able to stay at one of a whole bunch of 4 and 5 star hotels at a fraction of the cost of similar hotels in Bangkok. 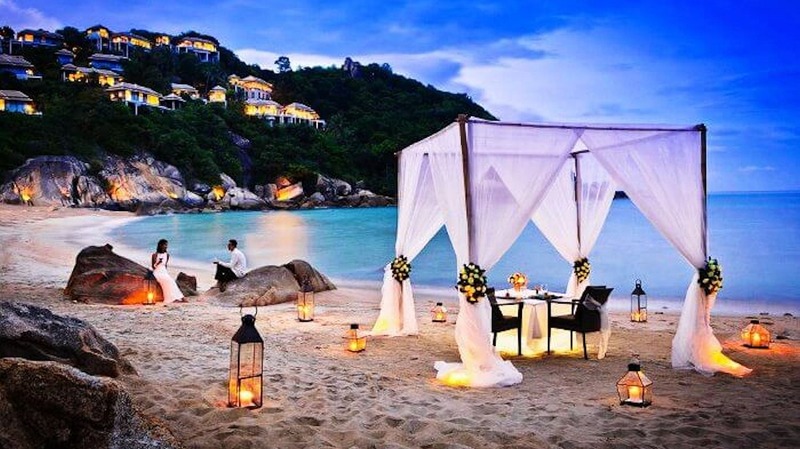 Koh Samui is yet another one of Island Thailand honeymoon destinations present in Thailand. Koh Samui has some of the world’s finest resort hotels, amazing beaches, amazing dive sites, and it is a wonderful place for two people who love each other. On Koh Samui, you can relax, enjoy the sun and get a tan throughout the day. In the evening you can enjoy one of the wonderful outdoor discos, or dine at one of the island’s fabulous restaurants (fantastic yet so cheap!). Krabi is slightly less popular than Samui and Phuket, but believe it or not, it is as beautiful and romantic as the famous islands of Thailand. The dramatic cliffs, clear water and the relative peace and tranquility make this mainland beach destination an excellent place for couples. Krabi is also not far from Phuket and other Andaman Islands; therefore it’s a good place to be used as a base to explore the region. 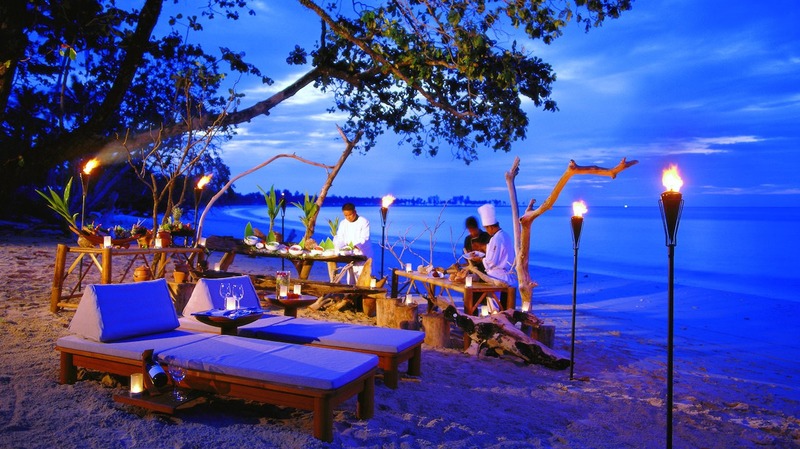 Railey Beach could just be the perfect destination for a romantic honeymoon. Phuket is Thailand’s largest island and offers visitors just about any experience they might desire, including luxury and romance. Even when the big, popular beaches like Patong and Kamala are fun, if you’re looking for something romantic you are able to choose one of the smaller beaches in the north or south of the island. 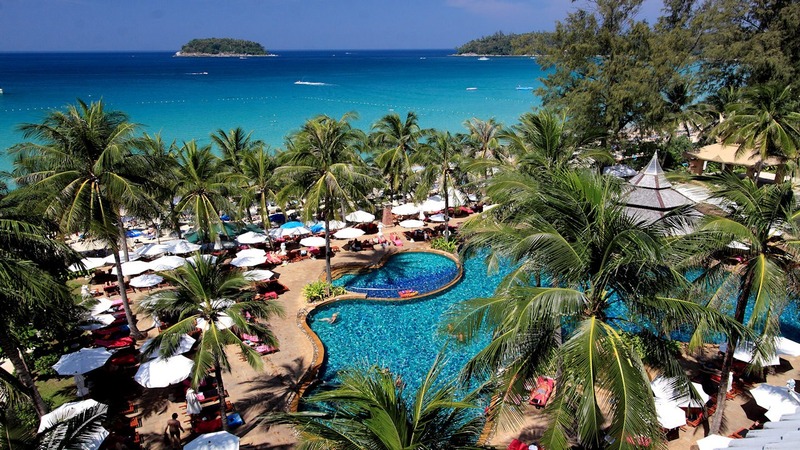 Kata beach, Surin Beach and Nai Hark beach are more relaxed and calm than a typical beach. Kao Yai is close to Bangkok. This is mainly a mountainous area with lush greenery, small villages, and the nation’s largest national park. Hiking and camping underneath the stars may not make you think is romantic a romantic way to spend your honeymoon but this location has a number of wineries that provide tours and tastings. They all are close enough so that you can easily visit the three main (PB Valley, Village Farm and GranMonte) in only one day, which makes this place a different and one of many unique Thailand Honeymoon Destinations. 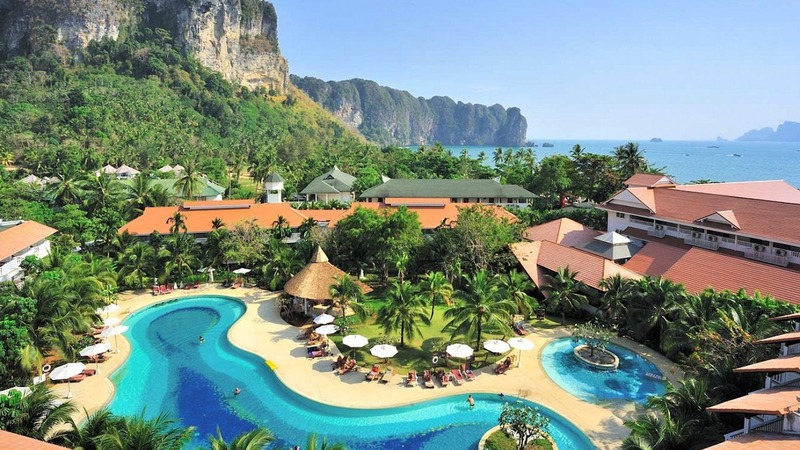 You must visit these places for honeymoon in Thailand between November and March. These are essentially the best months for the visit because humidity and rain is lesser. Although, Koh Samui seems to be an exception, and is best visited between June and September.